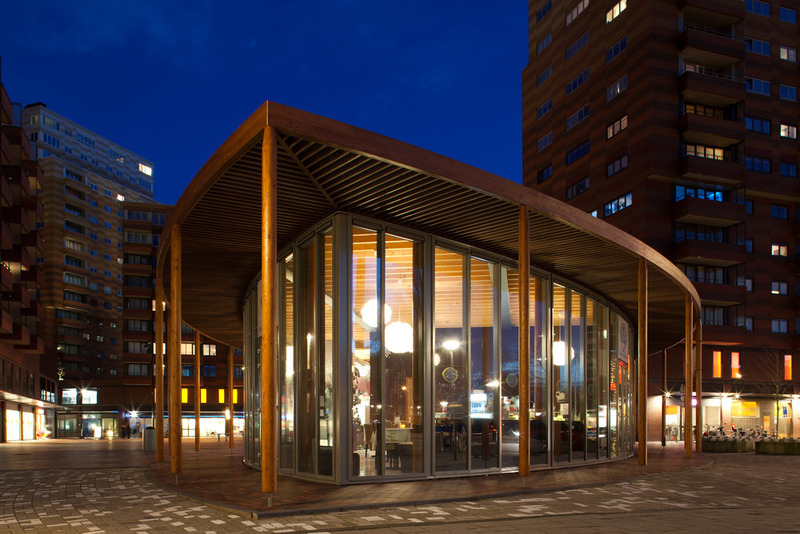 In 2007, ELA won an international competition for the design of a restaurant pavilion on a renewed square in the north of Amsterdam. Due to the building crisis, the project was put on hold for five years. In 2012, the client Ymere/AM restarted the project and the pavilion of 300 m2 was built in 2013. The eye-shaped building is located on the edge of the square called ‘Waterlandplein’ and faces a green zone. It houses two restaurants.